Register to watch what's free? Why in the world would Westinghouse require users to enter an activation code in order to use the built-in TV tuner? What's more, there are two different codes to enter depending on whether you wish to use the ATSC tuner or the QAM tuner. Note that this is not about activating the TV -- it's already ready-to-use with cable box, satellite, DVD, Blue-Ray, game consoles, VCRs, etc. "Activation" is only required to use the internal TV tuner. Why? A call to Westinghouse support with the question "Why do I need a code to use the tuner?" resulted in the answer "You need an activation code because you want to want to watch antenna channels." This is such an obvious circular argument that I had to suspect maybe Westinghouse is determined to not reveal its reasons. Without an answer from the company I am left to my own suppositions. Yes, you will need to actually register to get a code to activate the OTA antenna on your particular device. Any codes posted online are either for non-OTA features or are unique to someone else's device. Before getting to my original thoughts on the question of why Westinghouse requires tuner activation, I'll skip right to the likely answer courtesy of Michael Foley who used the comments section below to point out that this same "register before use" requirement is employed by manufacturers of other electronics. In short, manufacturers have to pay for licensed technology (i.e., have to pay patent holders) and it seems that, in some cases, manufacturers have worked out a deal to only pay for tech that actually gets used rather than just included. In the case of Westinghouse TV tuners, we might presume that if a consumer never bothers to activate the inboard TV tuner then Westinghouse doesn't have to pay a fee to TV tuner patent holder(s). I can't confirm that this is the case but it would perfectly explain Westinghouse's activation requirement. Thanks to Michael for pointing out this practice! My initial thinking was that Westinghouse somehow uses the tuner activation information as a type of poor-man's approach to tracking customer viewing habits. *Real* tracking would require a regular flow of info back to Westinghouse over time (think internet-connected TVs). Such an approach would bring into question privacy rights in addition to requiring all TVs to have network capability. However, asking for info only during setup skirts the issue of building network features into all TVs. It also sidesteps the issue of how customers would view the regular, ongoing reporting of (spying) their TV viewing habits. 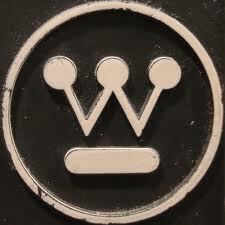 How could this benefit Westinghouse? First, it could help project some of the feature mix of future sets. If only a small percentage of users ever activate over-the-air (OTA) viewing then Westinghouse is more likely to begin offering sets without built-in tuners. Activation data will also show the company which areas of the country use OTA tuning. Activation of the tuner involves getting a code by submitting the TV's serial number via the Westinghouse support website (http://wdsupport.net/wdeonlineservice/tunercode.aspx), calling a Westinghouse support phone number (1-800-701-0680) or texting to a Westinghouse support text number. Any of these methods will typically tell Westinghouse which area of the country you live in -- sometimes down to your ZIP code. This is handy marketing info when deciding which parts of the country will get certain products and advertising dollars. Westinghouse may also have a deal with cable and/or satellite companies to provide OTA activation info. In other words, making money by collecting consumer data for something that is "free" and selling that info to interested parties -- the "Facebook Model" of generating revenue. If this is the case you'd expect the better-selling TV brands to strike the same sort of deals and have the same OTA activation requirements. Perhaps cable companies have approached manufacturers with this proposition and Westinghouse is just the first to strike a deal. Or perhaps Westinghouse came up with the idea on its own and other companies have yet to follow. The selling of consumer-related info is great for all the conspiracy theorists out there but, after a bit more thought, I'm less inclined to believe this is the reason for OTA tuner activation. A more likely reason is simple theft deterrent. Flat-panel TVs have been a hot-ticket item for years. If TV retail outlets have a large concern over theft, Westinghouse has a partial solution: any stolen TVs can be flagged by serial number and tuner "activation" either not allowed at all or allowed only with the submission of additional personal info (which is then turned over to the proper authorities). If retailers are choosing between multiple entry-level TV vendors, this nod toward loss-prevention could easily sway a decision in Westinghouse's favor. If you have other ideas or even some hard info as to why Westinghouse has this odd tuner activation requirement please share in the comments! My guess is that TV manufacturers pay a nominal fee to use the tuner technology (because of licensing patents or something), and by doing activation like this, they have worked a contract to only pay for TVs that are actually activated instead of all TVs sold. The PS3 game console does something similar. It doesn't play .wma music files out of the box, but if you click on a setting, your PS3 is now activated to play that file type and SONY now has to pay microsoft to license the technology. PS3 does it with Divx files as well. Excellent thought, Michael -- that makes much more sense than the few ideas I'd put forth. I'll update the content to cite your input as the likely answer to the question of why Westinghouse requires tuner activation. Thanks for the comment! Q: Why do I need to enter a tuner code for my television to receive over-the-air broadcasts? A: This enables Westinghouse users to choose a feature that most TV users do not use, receiving over-the-air broadcasts. This choice simplifies TV operation for users who do not intend to receive such broadcasts, such as by avoiding unnecessary channel scans. The access code input enables Westinghouse to accurately count the end users who seek to enable the ATSC tuner, for purposes of royalty reporting (but for the end user, this activation is free). This looks to the future of television design: Digital televisions are beginning to include installable hardware or software features. what i'm wondering is can we switch between QAM and ota? While I mostly watch OTA, I do have basic cable (part of a promo to keep my bill lower than it was. So while two of my tv's don't have a qam tuner, if my tv had a qam tuner I'd use that. However, there are channels I get OTA that I do not get on basic cable so I would switch back and forth. It's a big deal breaker if I cannot activate both.